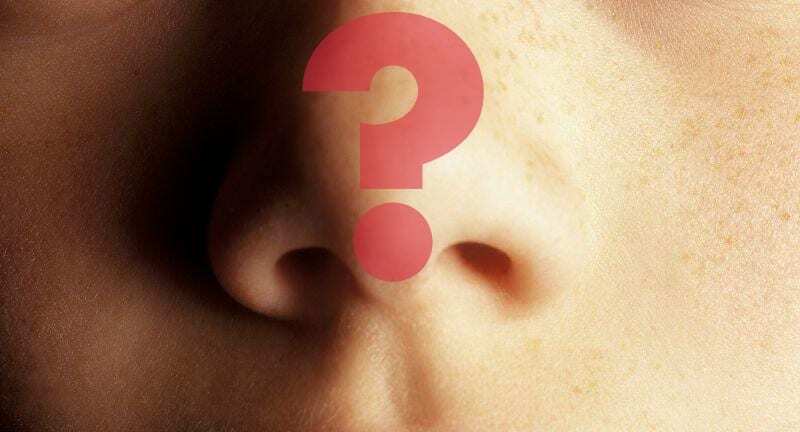 Your nose is more capable than you think: it can perceive close to one trillion scents. However, the mechanics behind the process might be a bit different than you’d be inclined to believe. In this article we will be looking into how smell works and provide you with fun facts about smell and the nose that you can use to boast at parties. Just take a moment to think about what your nose can do. You can immediately identify spoiled food, such as milk that’s gone sour or a rotten piece of shellfish. But how do we smell? Contrary to popular belief, this sense doesn’t take place in the nose per se, but rather in the brain. It relies on something called chemoreceptors, a specialized set of cells that can be found high inside the nose on a small patch of tissue. Each neuron of this kind has its own odor receptor to which scent molecules emitted by fragrant substances cling. What this means is that smells literally cling to the mucus in your nose, and their scent is then carried to the area of the brain in charge of processing this sense. 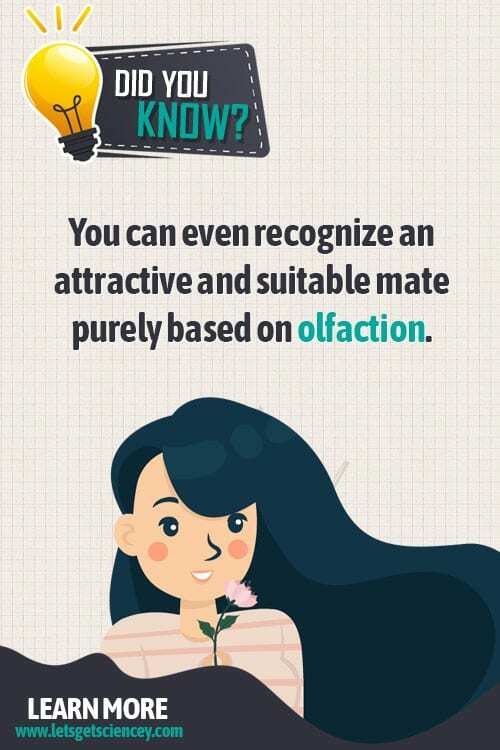 Olfaction as a process functions in a similar way to taste, namely via the aforementioned chemoreceptors. Located in the nasal cavity, these olfactory neurons pick up specific odorants which bind to them and emit a signal. This is how the nose works. That signal is, in turn, picked up by spherical structures known as glomeruli and transmitted to the olfactory bulb situated in the forebrain. It is in the olfactory bulb that our brain processes smell and turns it into familiar sensations closely related to memory and emotions, as well as taste. How does the olfactory system work? The mechanics behind smell are explained by two major models: the docking theory and the vibration theory. Together, they offer a more detailed picture of how smell works. Previously known as the shaping theory of olfaction, the docking theory of olfaction entails that smell is triggered by an odorant that is latching onto a receptor in a weak non-covalent bond. It is also described as the “lock and key” model because it essentially states that scent molecules fit in their own preset spot on the mucus in your nose. Also known as the “swipe card” model, biophysicist Luca Turin, proposes that we perceive scent due to the odorant’s infrared vibrational frequency. This basically means that the smell of a substance is encoded in the very vibration of its molecules. Atoms are almost constantly moving (this we know for sure), and Turin theorizes that this very mobility is what conveys scent. A 2007 review of studies explored these theories and other relevant findings in the field of olfaction. Turin’s vibration theory has been widely controversial over time, but some researchers still argue that it is possible. Nevertheless, the docking theory is the widely accepted variant. Believe it or not, the medical community had almost no idea how our noses worked before 2004 Nobel Prize laureates Richard Axel and Linda B. Buck investigated the phenomenon. Their detailed research was conducted in 1991, when they discovered that the average human’s olfactory chemoreceptors were coded by a whopping 1,000 genes. In addition to this, they also established that each receptor in the nasal cavity is fine-tuned to pick up a small number of scents with great accuracy. As per their research, the human nose could detect as much as 10,000 unique scents. However, nowadays that number sits close to one trillion. Why the major shift in perception, you might ask? A more recent study conducted on 26 participants holds the insight on this topic. 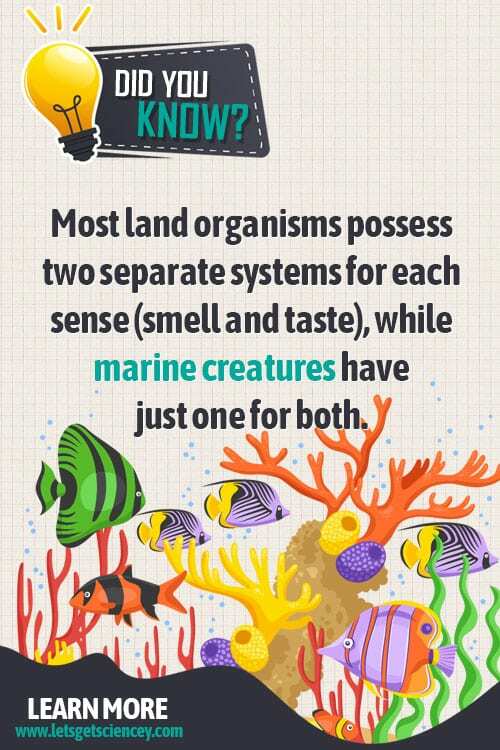 As per the trial’s findings, the nose has 400 different types of chemoreceptors, and several odorants can fit into the same one at once. Therefore, the human nose is not only able to differentiate between overlapping scents, but also identify more scents than it has receptors. Of course, this study isn’t definitive either. But it does provide a new question to the ever pressing question of how does smell work. You’re most likely familiar with the notion that humans have a much poorer sense of smell than most animals. It is believed that dogs’ noses are 44 times more fine-tuned to pick up odors than ours, for example. While this is a popular opinion, it’s actually a common misconception according to recent research. The theory behind what has now been debunked as myth originated a couple of lifetimes ago, in the 1879 writings of neuroanatomist Paul Broca. He was the one who divided mammals into two main groups, namely those whose sense of smell is critical for the completion of their daily activities, and those for whom it isn’t. Dogs and rodents belong to the former category, while humans and other primates can be found in the latter. The reason behind this theory is a purely evolutionary one. With the passage of time, we have come to rely less and less on our sense of smell. After all, we buy all our food in supermarkets and find our significant others on Tinder. Nonetheless, the study cited above set the record straight as far as this theory is concerned. As it seems, we’ve had it in us all along. The only thing our noses need to be as receptive and accurate as those of other mammals is training. With its help, we can even outperform dogs or rats in certain scent-related tasks. Well, not every task, sometimes is better to remain odor ignorant. Smell is the oldest sense on the planet, as it existed long before the first pluricellular organisms formed. Even ancient single-cell bacteria posses it in the form of rudimentary senses known as chemotaxis. These made them respond to the chemicals around them. 2. Just like mice, each individual human has their own unique scent print. This is known as an odortype, and it is determined by many factors. Genes play a major role, as do bodily fluids. This is why no two people will smell the same to you, and neither will you to them. 3. The nerves behind our sense of smell are the only cranial nerves that can regenerate, which is why you will have brand new scent cells every 30 to 60 days. 4. Did you know that you can smell fear and disgust through sweat? Not only is your brain able to identify the subtle scent differences in the two types of perspiration, but you can also experience them empathically afterward, according to a 2012 study. 5. A decrease in the ability to identify scents among senior citizens might be a predictor of death within a period of five years. Out of the 3,000 participants aged 57-85 t, those who couldn’t recognize smells such as that of orange or peppermint were three times more likely to die. 6. Certain smells can trigger memories and emotions, both positive and negative. For instance, just how your favorite childhood food reminds you of your grandparents’ home, so can the smell of diesel trigger war-related PTSD for a veteran. 7. Women have a finer sense of smell than men due to the fact that their olfactory bulbs have up to 50% more specialized cells.